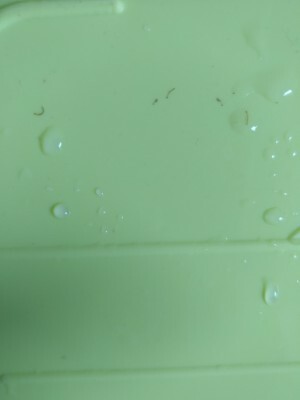 The worm-like organisms have white/translucent bodies with distinct black heads that resemble pinpoints. We agree with our reader, these are larvae. 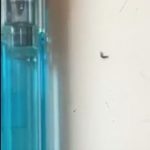 To be specific, we believe that these are drain fly larvae, also known as moth fly larvae or sewer fly larvae. 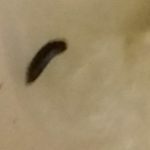 Drain fly larvae are extremley common household pests that readers find in their kitchens, bathrooms, or other locations in their homes where there is a sink or drain. 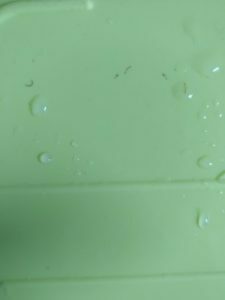 These larvae feed on and breed in the gelatinous film that builds up inside of drains, so in order to get rid of the larvae, our reader will need to remove the film and other organic matter from the drain. 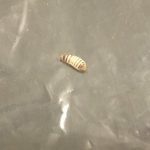 Luckily, getting rid of drain fly larvae is relatively easy and straightforward compared to getting rid of some other household pests. 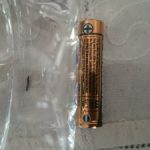 Since an infestation is usually limited to one drain, that’s the only area our reader will need to focus on. 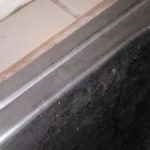 She should clean out her sink drain using a pipe cleaning brush and a cleaning agent designed to kill organic material. 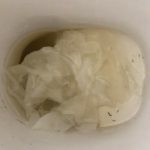 If drain fly larvae are still appearing in her basin despite her cleaning efforts, then there is likely some sort of clog blocking the drain and serving as a food source and breeding site for these larvae. If this is the case, she will need to remove the clog in order to get rid of the larvae. 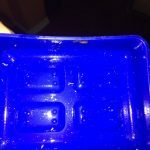 To summarize, one of our readers discovered drain fly larvae in her basin while flossing. If she accidentally ingested any of the larvae she shouldn’t worry because they aren’t known to transmit human diseases or cause harm. If she is worried about her health or wants to confirm this with a doctor, then we encourage her to make an appointment with a medical professional who is licensed to give medical advice. 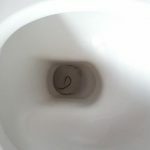 One of our readers discovered drain fly larvae in her basin while flossing. If she accidentally ingested any of the larvae she shouldn't worry because they aren't known to transmit human diseases or cause harm.